The compass that you see, when rearranging the containers in the RadDocking control, is represented by the Compass control. Therefore you can't directly create a style for it in Expression Blend and you have to use a dummy control to create the style. Now select the newly created control. 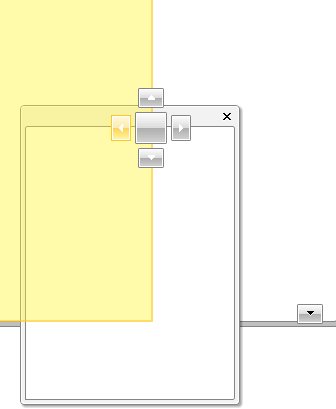 Then select Object -> Edit Style -> Edit a Copy. You will be prompted for the name of the style and where to be placed within your application. 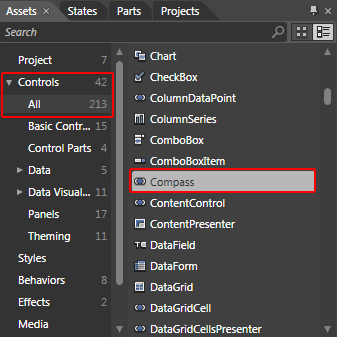 After clicking OK, a style for your Compass control will be created and the properties that can be set through it will be loaded in the 'Properties' pane. Theme - is the theme applied to the control. 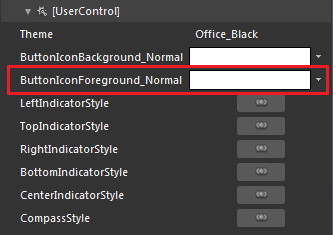 ButtonIconBackground_Normal - is the background brush applied to the left, right, top and bottom arrow elements in the compass. ButtonIconForeground_Normal - is the foreground brush applied to the left, right, top and bottom arrow elements in the compass. LeftIndicatorStyle - the style applied to the left indicator of the compass. TopIndicatorStyle - the style applied to the top indicator of the compass. RightIndicatorStyle - the style applied to the right indicator of the compass. 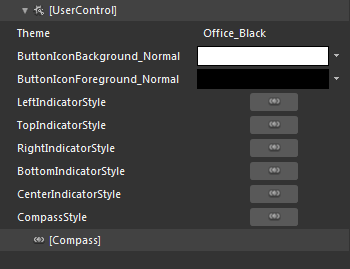 BottomIndicatorStyle - the style applied to the bottom indicator of the compass. CenterIndicatorStyle - the style applied to the central indicator of the compass. CompassStyle - the style containing the described elements. [Grid] - is the host container for the indicator's elements. [ButtonChrome] - is the main part of the indicator's content. Read more about changing a ButtomChrome's default visual appearance here. [Path] - represents the indicator's icon background arrow. [Path] - represents the indicator's icon foreground arrow, shown on the top of the background arrow. After finishing with your modifications, remove the dummy control and set the style to the RadDocking's CompassStyle property.